Based in Maidenhead, Berkshire Sheargold Pianos supply new and used pianos to all customers in the Maidenhead and surrounding areas. We stock digital pianos from Yamaha and Kawai and a full range of upright pianos from all the leading manufacturers including second hand pianos. Sheargolds also have a great range of guitars, electric guitars, acoustic guitars and classical guitars from all the leading manufacturers including Tanglewood, Eko, Yamaha, and Aria. If you need a beginner electric guitar or start classical guitar just give us a ring on 01628 771400 and we can advise you through our range. We also have some beautifully made Tanglewood acoustic guitars at very competitive prices. You will often find that our in-store special offer prices can be even better than our discounted online prices! 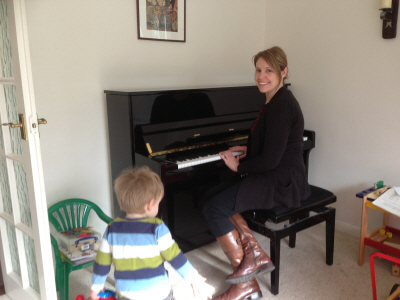 As well as piano sales, Sheargolds offer a complete piano tuning service. If you live in Maidenhead and need your piano tuned, call us on 01932 866577 to get a piano tuner booked in. Sheargolds are piano specialists and when it comes to moving your piano you want to know that it is being moved safely and professionally. We transport pianos across the country, from small uprights to large grands upstairs we have done it all. Call us now on 01628 771400 for a quote for moving your piano. You'll be surprised how good the service and prices are! We also buy second hand pianos. If you are in the Maidenhead area and are looking to sell your piano give us a call on 01628 771400 with the information and we may be interested in buying it from you. We also offer a piano part exchange service if you are looking to upgrade your existing piano or keyboard.